Real Madrid and Barcelona are the sports teams with the most engaged fans in social video, according to a new study from Be On. The two Spanish clubs take the top positions in Be On's study, with Manchester City third and Chelsea in fifth place. 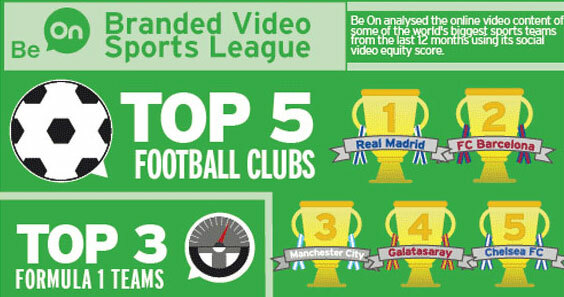 Turkish club Galatasaray take the fourth spot, thanks to having the highest social video engagement on Facebook. 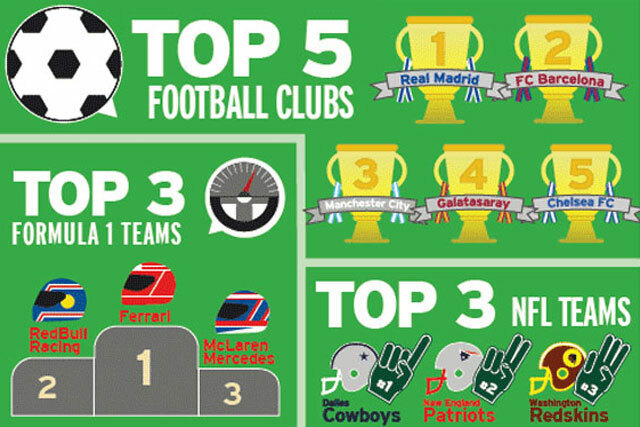 In the battle of the Formula One teams, Red Bull Racing is beaten by Ferrari F1, while US sports teams the LA Lakers and Dallas Cowboys add some razzamataz to the top 10. 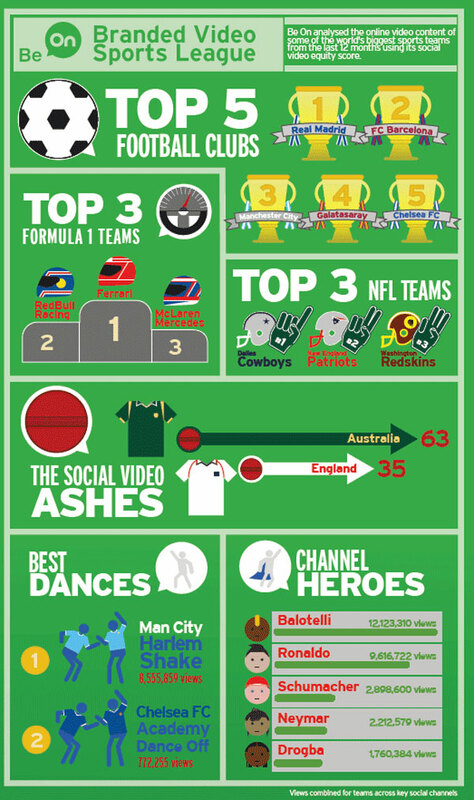 And despite England having won the Ashes, Cricket Australia are on top in the social video stakes in joint tenth place, while England can only manage 12th. * Be On ranking taking into account quality, use of video on own website, creativity and audience relevance.